And suddenly, Singapore is everywhere. It’s in the news, having hosted the first Trump-Kim summit. It’s in the movies, with Crazy Rich Asians having been a two-hour commercial for Singapore tourism. It’s in the record books, since Singapore Airlines operates the longest flight in the world (18.75 hours, direct to Newark). For these reasons and more, it’s also leapfrogging its way to the top of people’s travel destinations. If it’s your first time to Asia, or even your first time this far from home, Singapore promises a smooth transition. 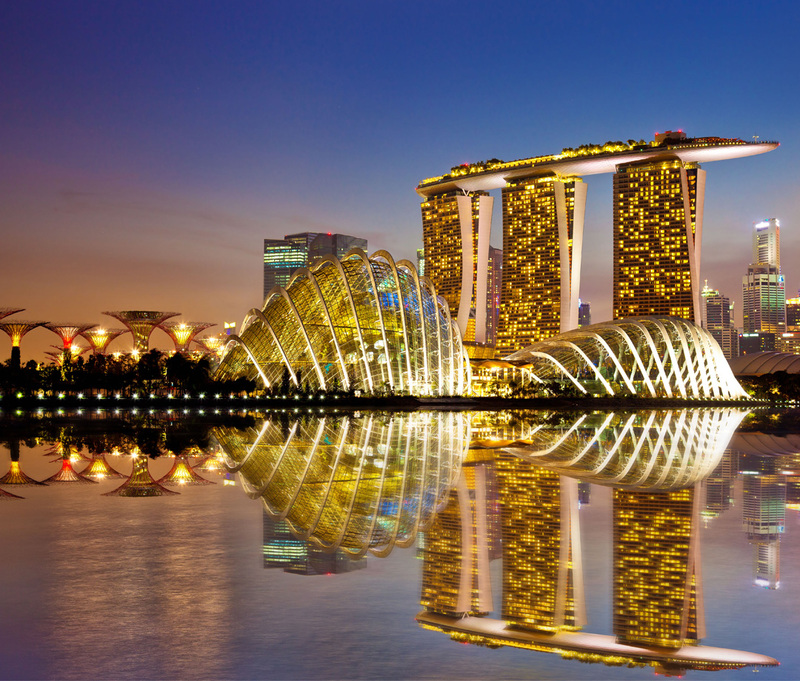 Nearly everyone speaks fluent English, seeing as Singapore was first established as a British colony after the statesman Stamford Raffles docked there in 1819. (Thus 2019 marks its bicentennial.) The colony traded hands between the Brits, Japanese, Brits again, and the Malay before becoming its own sovereign nation in 1965. When in Singapore, you can’t help but notice how everyone seems to actually get along. All of these distinct cultures—Malay, Chinese, Indian, Peranakan, and even a steep number of Eurasian expats—coexist without hurling insults at one another, proudly contributing to a country that celebrates its diversity and each heritage. I think that’s what stood out to me most: While Singapore has built one of the great (And clean! And safe!) modern cities, its first priority seems to be the contentment of its people. And of its guests. You’re in for a treat. But the flight isn’t short. As said above, the longest flight in the world is an 18-hour 45-minute direct from Newark to Singapore. This underscores the importance of treating yourself—and the airline’s Premium Economy option is an upgrade worth every dime. Your seat is yours alone, with a 38-inch pitch, 8-inch recline, 19-inch width, extra stowage, leather upholstery, plus a calf and foot rest. As if you won’t already feel like a prince, you’ll be served from their gourmet menu (with generous pours to make the flight more fun or more restful). You can even select a specific cuisine up to 24 hours in advance through your booking confirmation. I could keep going. But best of all, I loved the 77-lb. baggage limit and dedicated check-in line. All in, the Premium upgrade took the strain out of such a long-haul flight. 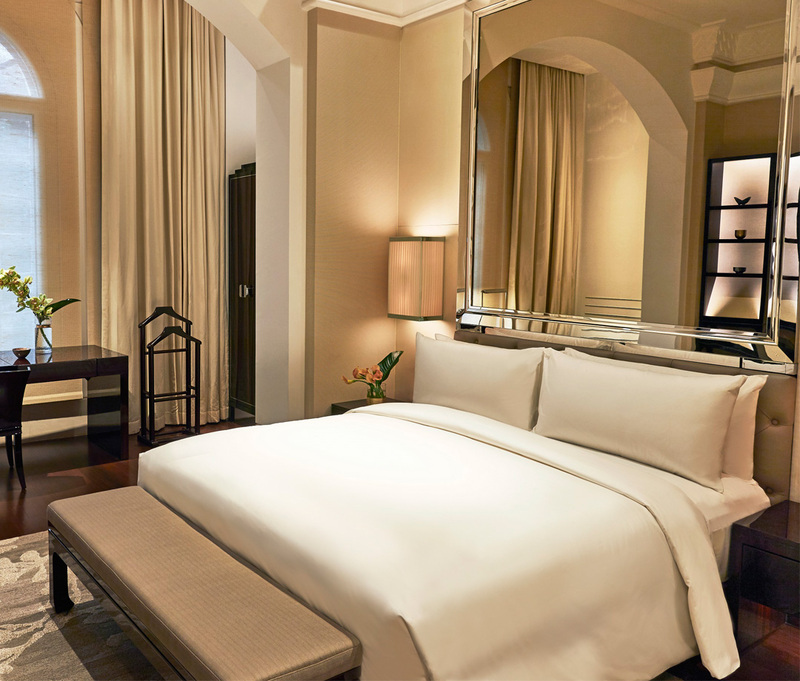 If you’ve come to Singapore for business, shopping, or food, then put Grand Hyatt high on your list of places to stay. 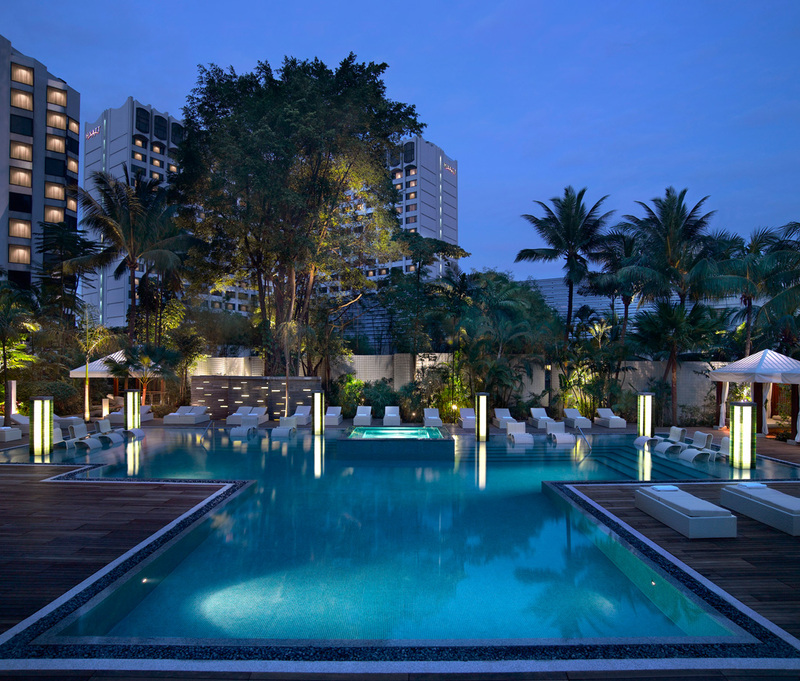 It’s conveniently located on Orchard Road, the city’s commercial and entertainment district. Onsite, you’ve got more dining options than you can imagine, including the halal-certified StraitsKitchen, serving cuisine as multifarious as Singapore’s own offerings (core among them are Indian, Malay, and Chinese, all served hawker-style, and an all-you-can-eat buffet at that). Don’t miss 10 Scotts at high tea, mezza9 with its nine cuisine options from expert chefs, poolside Oasis with BBQ dinner and an open bar, bustling basement BRIX bar for nightcaps, and Pete’s Place for wood-fired pizza in the joint’s original 1973 decor. OK, so it’s not all about the food at Grand Hyatt, but it’s also not not about the food. (The hotel gym, for what it’s worth, is one of the best you’ll find to help counteract all the grubbing.) Everything else is in classic Hyatt form, from the stately (and feng-shui-friendly) lobby to the calming, contemporary 677 rooms and suites. Capella Singapore: You need to visit Sentosa Island on your visit anyway (just south of the city), so why not hide away there? 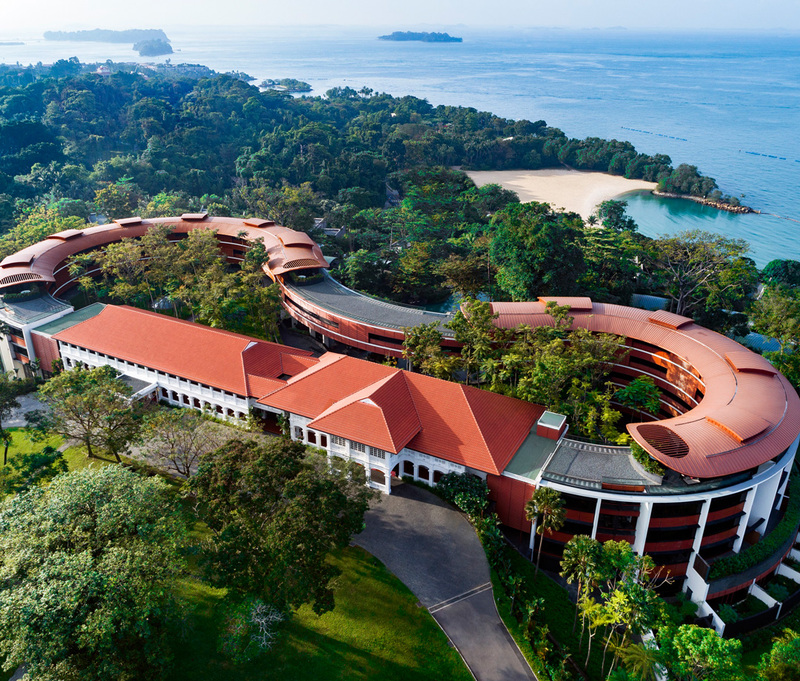 Capella Singapore is an escape from everything, isolated along the shore of Sentosa and tucked into the verdant hillside behind its two 1880s-aged colonial bungalows. Their 112 rooms, suites, and villas look out over the water or nestle you into the greenery, since Capella is a resort first and foremost. Eat at The Knolls for Mediterranean-fare, hang out at Bob’s Bar for cocktails with a view, or Cassia for world-class Cantonese cuisine. If you need some extra flourishes on your stay, consider the options offered through their Three Wishes program, with generous credits for dining, laundry, spa services, airport transfers, or more. Speaking of spas, Auriga is a 5-star holistic reprieve that rounds out your Capella experience. To understand Singapore best, dive into the heart of its four cornerstone cultures: Chinese, Indian, Malay, and Peranakan (that is, the descendants of local “Straits”-born Chinese, whose own identity is a two-centuries-old amalgamation of Chinese, Indonesian, and Malay heritage). Here are the neighborhoods to target on your visit, each worth an hour (or four) of on-foot exploration. Chinatown: Highlights include the Chinatown Heritage Center, which showcases just how recently the city has modernized. You can see a staging of the modest (and often squalorous) living and working arrangements that many people and families endured as recently as 50 years ago. (It also reinforces Singapore’s surging modernization efforts.) 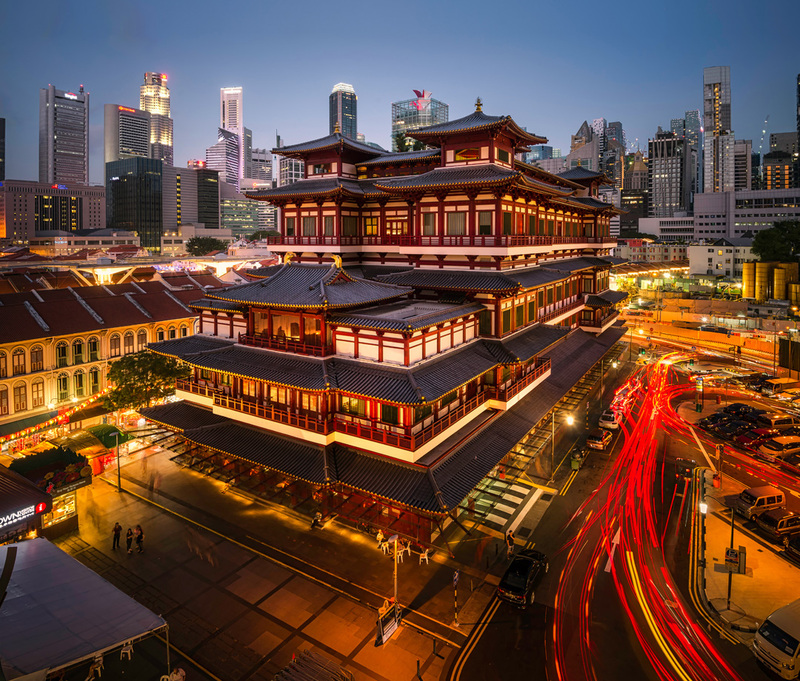 Stop by the Buddha Tooth Relic Temple for a moment of reflection, Pagoda Street for souvenirs, and Chinatown Food Street for hawker eats—including the Michelin-starred Liao Fan Hong Kong Soya Sauce Chicken Rice and Noodle. But get there early and be ready to queue for an hour: When they sell out for the day, it’s lights out. Little India: A tour through Little India is vivid on the senses. You’ll gawk at the bright and photogenic Sri Veeramakaliamman temple, admire the ornate fragrant flower garland stalls, study the many colorful murals, and collect ingredients from the fragrant spice shops. Little India also houses hawker hotspot Tekka Market, which itself houses the famed 545 Whampoa Prawn Noodles. As for an Indian meal as sensory as everything else, post up at Banana Leaf Apolo. Side note: 545 Whampoa is part of the hawker-preneur movement wherein young hawkers modernize and socialize their businesses, in hopes of preserving and expanding the culture beyond its often thankless and tiresome standards. Their predecessors, for example, worked 14-20 hours daily to make ends meet and support their families, but now the kids are coming up with ways to expand opportunities for their businesses while preserving hawker culture. Plus, the food is still damn good, as evidenced by the line outside 545 Whampoa. Also check out Fishball Story on Ayer Rajah Crescent. Kampong Glam: “Little Malay” is as glam as its name implies. And there are lots of landmarks for a walking tour, like the grandiose Masjid Sultan Mosque, at the end of colorful and hipster-packed Haji Lane. The Malay Heritage Centre brings local history and voices to life, while Arab Street is a must for scoring the best textiles, spices, and souvenirs. Joo Chiat + Katong: This is the heart of Singapore’s Peranakan roots. Don’t miss a chance to photograph the brilliant pastel Peranakan Shophouses or explore the cozy alleys and bustling shops that preserve the heritage. Stop by Kway Guan Huat Popiah for paper-thin peranakan crepes (called popiah), get a meal at 328 Katong Laksa, or stop into Kim Choo Kueh Chang center to sample Peranakan treats (like their famous rice dumplings) or to pick up other souvenirs—tapestries chief among them. Gardens by the Bay: Paired with Marina Bay Sands Hotel, the Gardens by the Bay are the visual centerpiece of your Singapore visit. They’re a man-made spectacle, with behemoth indoor spiraling gardens (Cloud Forest and Flower Dome), and outdoor sculptures, lakes, and green reprieves. The best treat of all, however, is the nightly light show at the Supertree Grove, in which a dozen 16-story “trees” glimmer and glow with a symphonic soundtrack. Lay back and marvel at what man has made. Singapore Botanic Gardens: Can you imagine a better place for botanic gardens than a tropical city with a knack for showing off? It’s clear why this is potentially the best one in the world. In fact, with over 10,000 species of flora across 203 acres, this is the only botanic gardens listed as a UNESCO World Heritage Site. Get lost for a few hours, have a picnic, sunbathe, count lizards, visit the National Orchid Garden (with 1,200 orchid species)…just savor the beauty and magnitude, please. Southern Ridges: Take a walk amongst the trees on this elevated path, built so you can enjoy 10km of green and coast above the bustle. Keep an eye out for colorful birds, curious monkeys, and wildflowers. Merlion Park: You have to visit the famous spouting Merlion statue in this panoramic cove. But first, a quick history lesson: Singapore’s name, which is Malaysian (Singapura), means “Lion City”. And because it was once a fisherman’s village, Singapore’s “mascot” of sorts is this grinning merman-lion crossover. Design Orchard and Orchard Road: Orchard Road is malls on malls on malls. Every store you can imagine is somewhere on Orchard Road. The best (and latest) addition to it, however, is Design Orchard, which houses and retails local business and designers. Make that your top priority amongst the Starbuckses, Apples, and Guccis. Biking tour: Start or end your visit with a bike tour (unless it’s the height of summer, then maybe just chill out). You’ll see (or have seen) so much of the city and this central loop puts a lot of it in perspective. Most of the city’s core attractions are all relatively close together. Night Safari: It’s a little gimmicky and a lotta touristy, but every friend back home who knows about Singapore’s offerings is going to ask you if you did the Night Safari at the Singapore Zoo. So now you know. Sentosa Island: A resort island south of the city, offering housing everything from the aforementioned Capella SIngapore (which was the meeting place of the first Trump-Kim summit, in fact), as well as Resorts World (which is home to numerous hotels, restaurants, and theme parks… one of which is Universal Studios Singapore. Take the kids to Adventure Cove Waterpark, though.) You can hit Palawan Beach if you need sand in your toes. It’s perfectly lovely, but this is one aspect in which Singapore doesn’t aim big: The city isn’t exactly known for its beaches. In addition to the aforementioned hawker hubs and street fare from each cultural enclave, here are a few dining and nightcap staples. They’ll further the notion that Singapore is a foodie paradise, above all else. 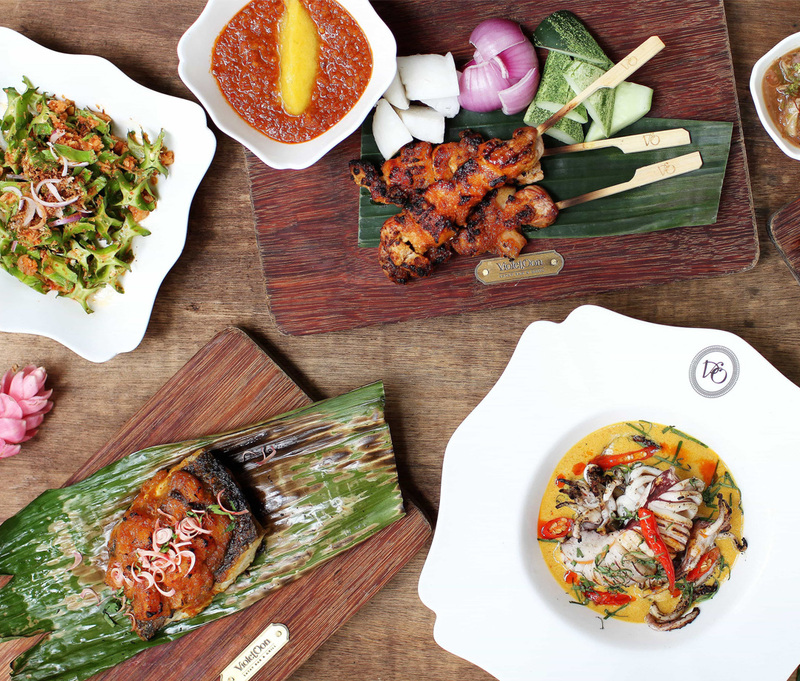 Violet Oon Satay Bar & Grill: Peranakan fare in a mid-scale setting. Any of their four locations is great for a date, or for business. Telok Ayer Arts Club: It always feels like Happy Hour at Telok Ayer Arts Club, a cozy joint that serves cocktails, dinner, good music, rotating art, and numerous community events. (Check their calendar to see who’s spinning or what’s happening, or drop by for a drink with friends.) Order their Singapore Sling. PS.Cafe: You can find a PS Cafe or PS Cafe Petit in most corners of Singapore. They’re reliable any time of day, for all your caffeine, croissant, burger, or nightcap fixings. 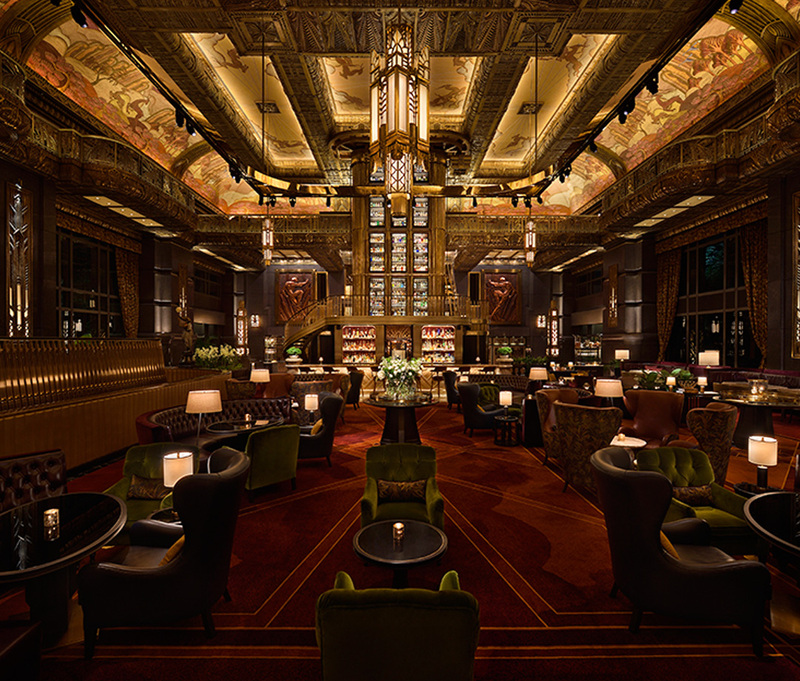 ATLAS: Come for the Art Deco grandeur straight out of Gotham, stay for their world-famous gin collection, stacked many stories high behind the bar. Fat Fuku private dining: If you’re traveling with a group of 6-9 people and are having trouble getting reservations, consider an in-home dining experience from Singaporean food writer and Peranakan chef Annette Tam. She whips up fantastic local dishes with spices and colors you only wish you could emulate. And her company is just as delightful.